While Kernan says he learned how to make a film by creating The Kampala Boxing Club, he has made another film, called Crow Stories, which he calls “a documentary immersion” into life on the Crow Reservation in Montana. The idea of immersing viewers in an unfamiliar world is also at the heart of Kernan’s new film. 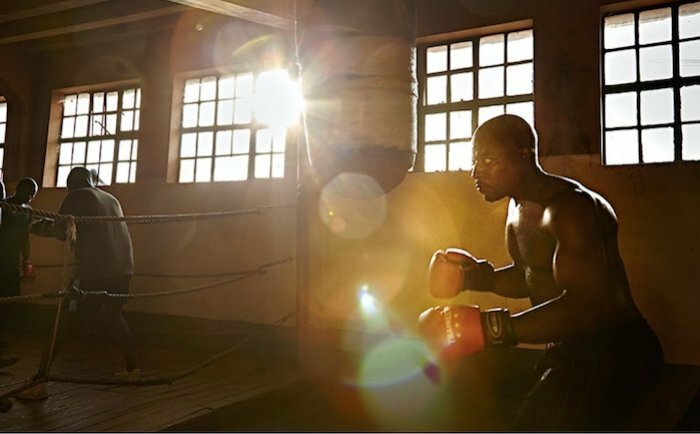 “The Kampala Boxing Club is a look at fighting and what lies beyond it,” Kernan says. He began shooting the film with a Canon 5D Mark II DSLR, but toward the end he switched to a Sony a 7R II full-frame mirrorless camera. “Sound recording was done with the cameras and occasionally with a portable Zoom H6 Handy Recorder, though it looked like a juggling act when I did that while I was also shooting. I would have loved having a real sound person. I’m not sure how having a cameraman would have worked, since in my case seeing is what makes things happen,” says Kernan. Editing was begun in Final Cut Pro and finished in Premiere Pro. “That fabulous light and color were there to begin with, much more extreme and daring than I would’ve tried creating if I were lighting it. So the only color grading involved was trying to convey what was there,” Kernan says. jian song commented on: April 10, 2018 at 3:50 a.m.
jian song commented on: May 7, 2018 at 3:18 p.m.